One of the more popular questions I get asked is what foundations do I recommend to people who are just starting out with makeup. And you would think that this is a harder question to answer these days. We now live in a time where the makeup world, especially the drugstore side, has really stepped up and improved it’s game when it comes to shade ranges, formulations, etc. But I always have a couple of go to’s up my sleeve that are my first thoughts when asked this question. And that’s what I’ll be shining my spotlight on today! If you have been following me since the beginning, you already knew that this was a foundation that I would be recommending. Unlike a lot of foundations that I’ve tried, the formula of the Rimmel foundation is quite thin and almost watery. Fortunately, I find it to be quite buildable, so I can get it up to around a light-medium coverage. The other biggie with this one is that it truly is long wearing. I have worn this for over 12 hours and it hasn’t budged or faded at all on me. This is a foundation I would definitely recommend to people who already have pretty good skin, but just want to even things out. The only bad thing I have to say about this one is that I wish that the shade range was better. 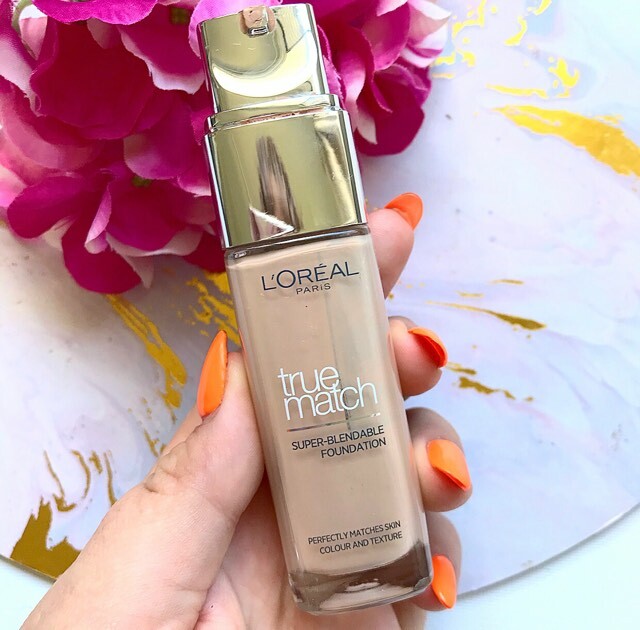 For those who want a bit more coverage, L’Oreal True Match has been my top choice for many years. Especially for those whose skin leans more normal to dry. It’s very much a classic for a reason. It boasts one of the biggest shade ranges in the drugstore and they are separated by undertones. So you can find a shade that works for you pretty easily. It’s a good medium coverage foundation but it has a gorgeous natural satin finish. It looks like skin once it’s set down. It also does a pretty good job at covering imperfections, especially if you have old acne scarring. And even though it isn’t touted as a long wear foundation, I find that it wear pretty well throughout the day without needing to be touched up. An oldie but definitely a goodie, Maybelline Matte + Poreless was my go to in my early 20’s. And it’s still very much the one I recommend to those folks with oily skin. 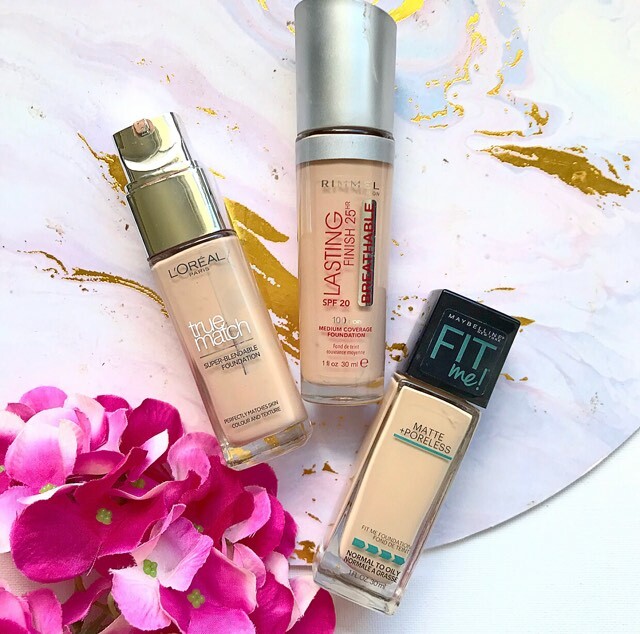 Like the True Match, The Fit Me foundation has a pretty awesome shade range. Also like the True Match, it blends out to a nice medium coverage. Enough to cover imperfections with minimal effort. But it has a matte finish that’s great at holding back oils for a decent period of time. 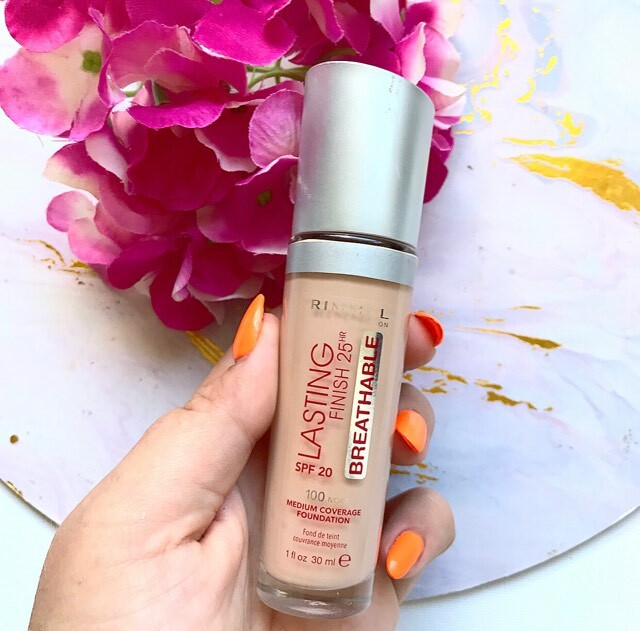 This is also the only foundation out of the three that doesn’t contain an SPF, so it’s a good one for flash photography. My only wish is that it had a pump just so it was a little easier to use. And those are my picks. What is your go to drugstore foundation. Let me know down below in the comments! 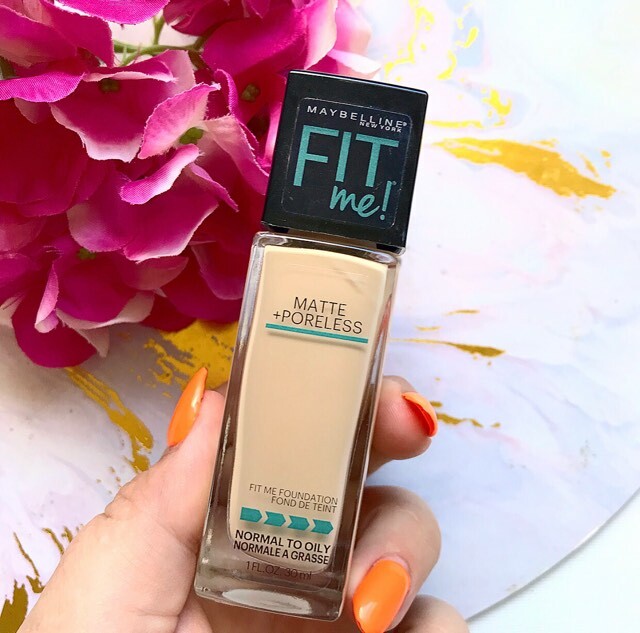 i used to love the maybelline fit me matte and poreless whenmy skin was so oily! it’s definitely a gem at the drugstore ! Welcome to Emmie’s Beauty Life! Hi, I’m Emily. 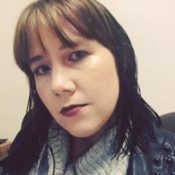 I’m a 29 year old business manager based in North West Queensland with perchance for all things colourful and glittery. I started Emmie’s Beauty Life as an outlet to show Australia and the world that beauty isn’t just exclusive to the big city. This blog is my home for makeup and skincare recommendations, reviews, hauls and other beauty relevant things.